Eerie. 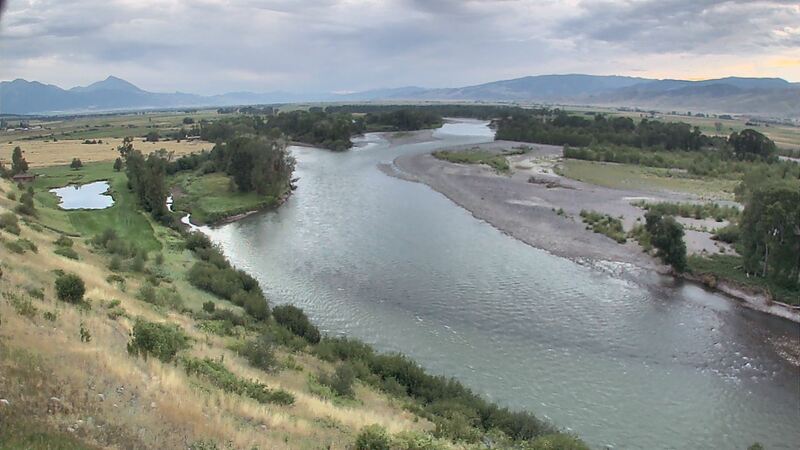 That one word describes what it's like along the banks of the Yellowstone River right now. There's no one. Empty river, empty fishing access sites. Nothing. In places where on a typical August day there would be 10 or more trucks with trailers parked waiting to be shuttled, half a parking lot full of folks just either fishing, walking along the river, throwing a ball for their dog, or otherwise enjoying a picnic and a day on the river, there's very little activity at all. It's quite somber. The only sounds are the river running, wind in the trees, and a few Osprey circling overhead. Their sharp cries piercing the otherwise near silence. And it looks like this may be the case for some time to come. Difficult to imagine for sure..